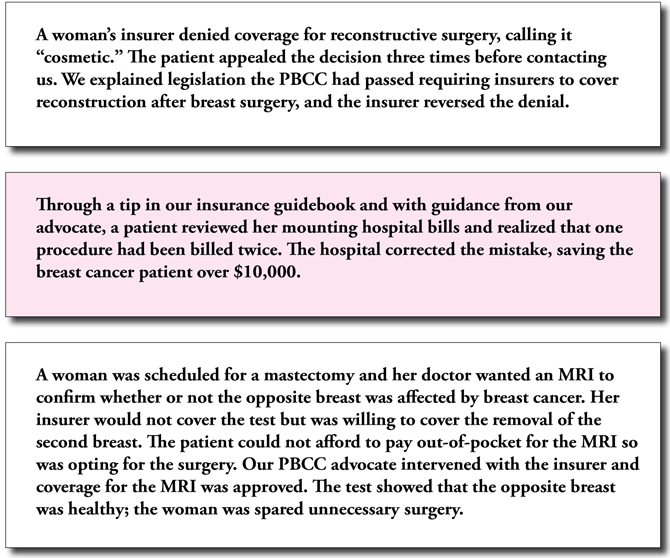 Our PBCC Director of Patient Advocacy finds free mammograms for uninsured women, navigates them through the maze of insurance regulations and employment issues, directs appeals to insurers and intervenes on the patients’ behalf. 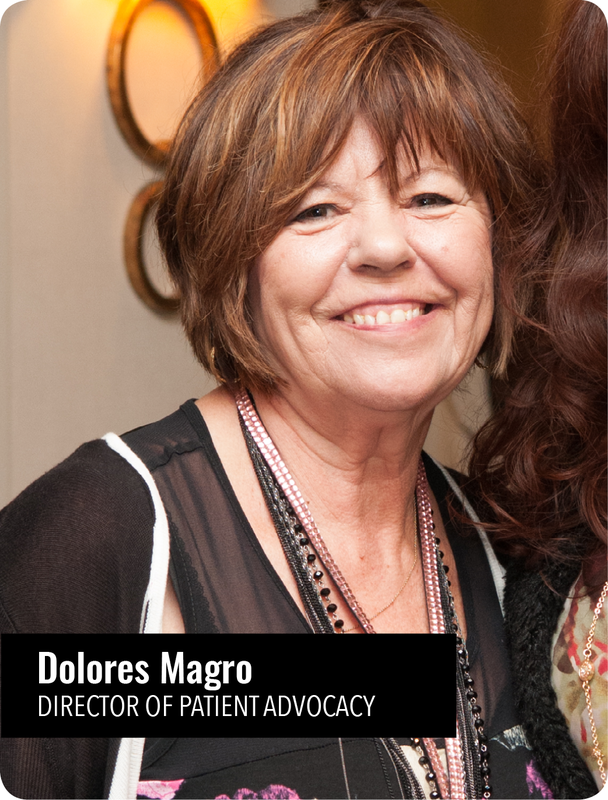 Dolores has helped hundreds of Pennsylvania breast cancer patients. She works one-on-one with women to find the answers they need. Every patient’s personal situation is unique and finding the right course to follow for her can be a challenge, but one that the patient should not have to negotiate herself. We want the patient to concentrate on healing; we take care of the rest. Our patient advocate is devoted to fighting for the care of breast cancer survivors in our state. Dolores walks uninsured women through the process of applying for Breast and Cervical Cancer Prevention and Treatment (BCCPT). She advises on issues of fair employment practices, Family Medical Leave, and how to appeal denials for insurance coverage. She is a reassuring voice providing a personal touch and offering a shoulder to lean on in a world of voicemail and computer-generated responses. You are not alone. call Dolores at (610) 622-3390 or call toll-free line at 800-377-8828 extension 3020.